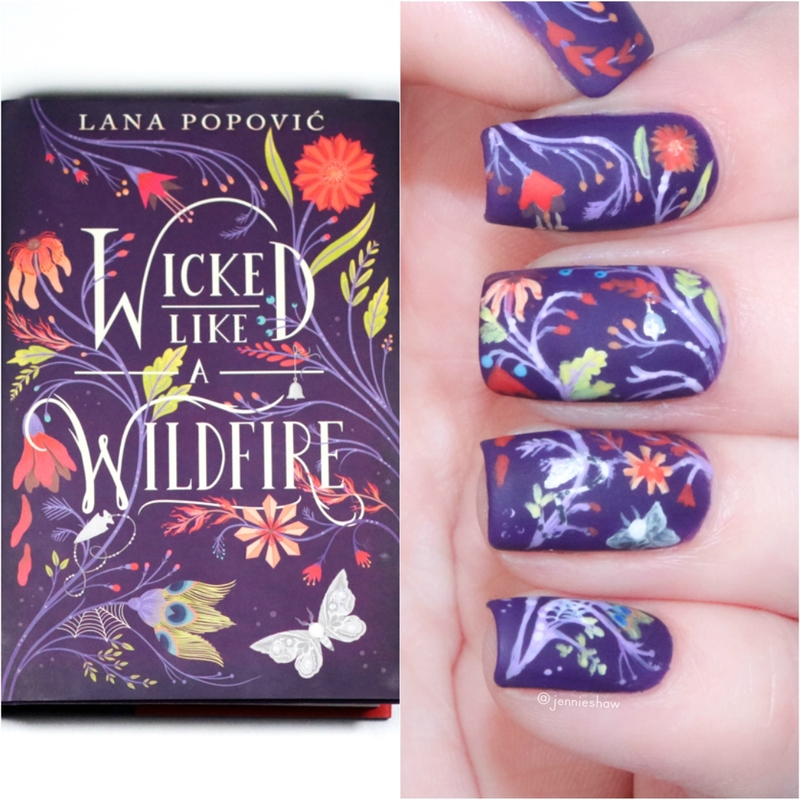 The cover for WICKED LIKE A WILDFIRE caught my attention because…well…its beauty basically rendered me speechless. With the dark purple base, eclectic flowers and design, I was anxious to read it while having no idea what it was about. I just knew I needed the book. 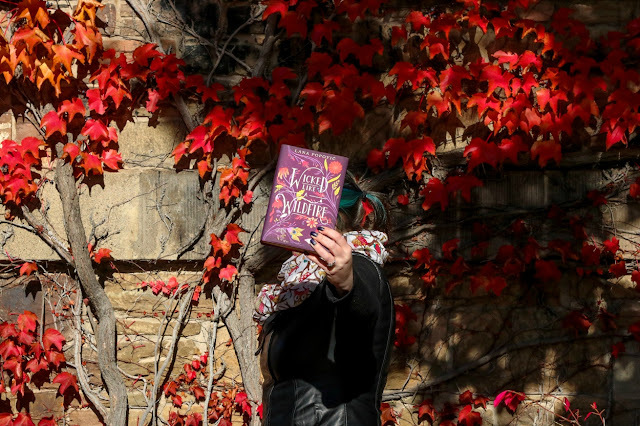 So imagine my delighted surprise when I read the back jacket and discovered the intriguing nature of WICKED LIKE A WILDFIRE, dense with unusual magic, family secrets, and an ominous curse—a trifecta of YA awesomeness, if you will. But let me tell you, that’s just the tip of the awesomeness iceberg, so let’s get started with the review! Now that I’ve finished WICKED LIKE A WILDFIRE, the back jacket description seems quite sparse and as a reader that should make you psyched for life because it means there’s a ton to discover. Without spoiling surprises, this book is set in a place that I didn’t know much about and I frickin’ loved how the vivid descriptions made me feel like I was looking out the window while Iris wove her way to the top of a mountain, or steps behind her as she raced through winding streets on her way to work. Authors with the ability to completely transport me are always on my must-read list and Popović is now a member of that club in a major way. 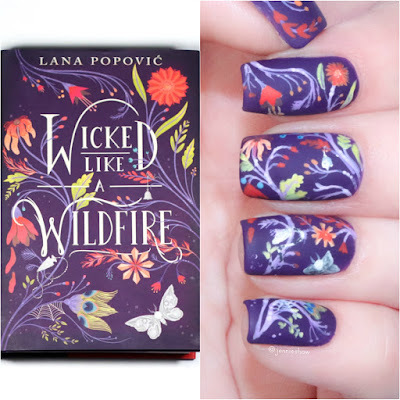 Nothing was as it seemed in WICKED LIKE A WILDFIRE and betrayal lurked around every corner. Just when I thought I knew the next turn, everything was flipped upside and I loved every frickin’ second. Another strength was the magic itself, the manipulation of beauty. Original and fantastical, the gleams were unlike any other magic I’ve read about. They were fascinating and a true testament to the power of imagination. 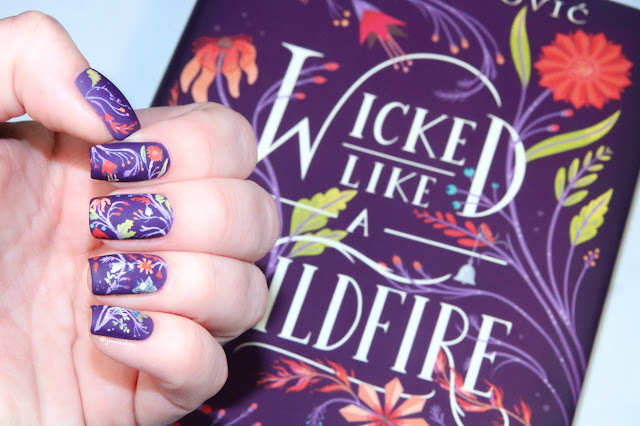 So combined with dynamic characters and a darkly bewitching plot, WICKED LIKE A WILDFIRE stands apart from other novels in the genre and omg I can’t wait for the next one. Plus there’s this magnificent cover, which I can’t help circling back to because HOLY THIS COVER. I’m totally incapable of not talking about it. Haha! But for real, this is a must read for YA fantasy fans, so add it to your TBRs, friends! Huge thanks to HCC Frenzy and HarperCollins Canada for hooking me up with this incredible finished copy!